Monday | June 12, 2017	Overwhelming demand has given this Set Lunch Special a treat for all customers! Enticing a combination of local and western flavours, every fusion dish is bound to whet your appetite! From Peanut Butter Pasta, with a great myriad of flavours bursting from every mouthful, this is your best bet! If you want to go for a protein infused meal, Manchurian Fish with rice, can satiate your craving. Dressed and fried with a special sauce, this dish permeates wonderful tones and best paired with a bowl of hot piping rice. 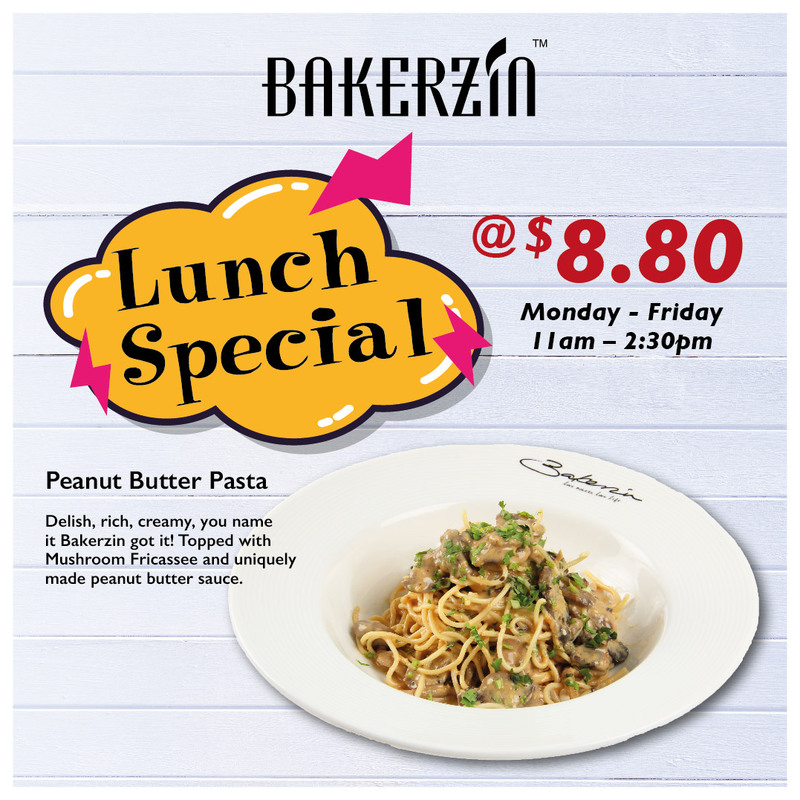 Lunch Special will be available on weekdays from 11:00am to 2:30pm at all Bakerzin outlets except Bakerzin Gardens by the Bay and Maju Avenue.